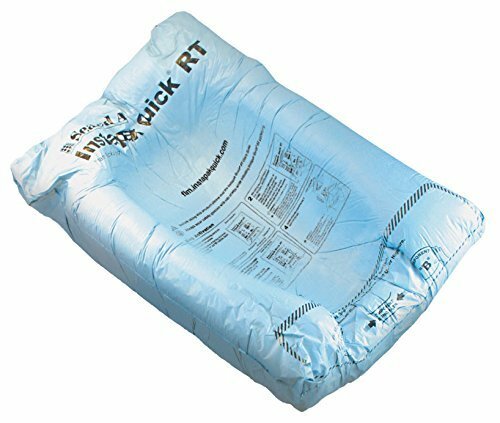 The Instapak Quick Room Temperature Expanding Foam Packaging Bag blocks and braces fragile items to prevent damage during the shipping process. The bag activates at the touch of a hand and expands to full size in seconds. The foam conforms to nearly any product shape and size, offering a professional package appearance. Lightweight material provides superior protection for shipping high-value goods. Expanding foam design activates on demand, saving storage space when not needed. The bag activates at the touch of a hand and expands to full size in seconds. The foam conforms to nearly any product shape and size, offering a professional package appearance. Lightweight material provides superior protection for shipping high-value goods. Expanding foam design activates on demand, saving storage space when not needed. Recommended for use with boxes 8-inches x 8-inches x 8-inches in size. If you have any questions about this product by Instapak Quick, contact us by completing and submitting the form below. If you are looking for a specif part number, please include it with your message.